A temporary tornado warning siren has been moved to St. Aloysius, Outagamie County Emergency Management photo. KAUKAUNA — If the tornado siren in your neighborhood sounds a little different this spring, it’s still best to head the warning and take cover. Outagamie County Emergency Management is moving around some sirens in the city, according to a recent Facebook post. The have moved a temporary siren to the former St. Aloysius School. 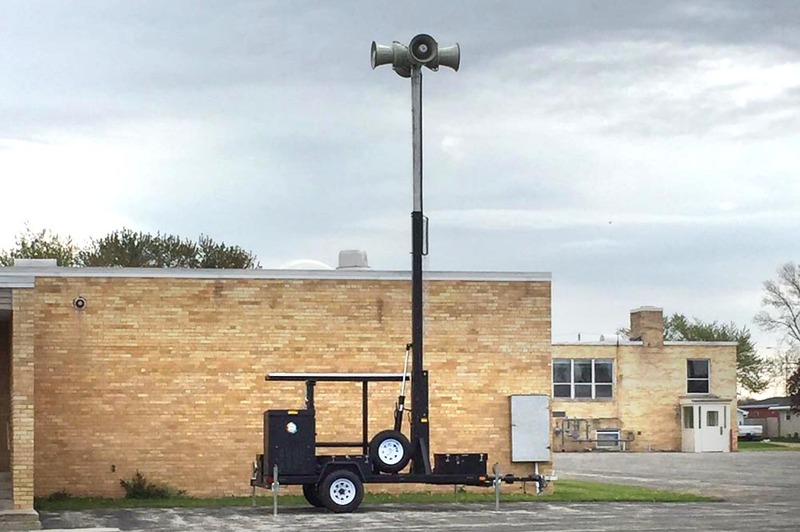 The St. Al’s siren will be relocated to Electa Quinney school after the school year is completed in June. “The siren will sound different then our normal sirens, but it will warn you if a tornado warning is issued in the area. Thank you for your patience,” the Facebook post read. Resident also can sign up for emergency notifications HERE. Please include your address and contact information to receive public safety alert messages. These messages could include emergency evacuation notices, public safety/life safety notifications, hazardous chemical emergencies that are occurring within your neighborhood. You may also select to receive any weather alerts issued by the National Weather Service through this system.